Editor’s note: In a unanimous vote Thursday morning, the City Council approved the study. District 1 Councilman Roberto Treviño abstained from the vote, as chairman of the Bexar County Appraisal District board of directors. District 4 Councilman Rey Saldaña was absent. This week, as 2019 appraisal notices are sent out to property owners across the county, the City Council will likely hire a company to study the practices of the Bexar County Appraisal District (BCAD). The move, which has the backing of all council members, would be unprecedented in that a taxing entity—in this case, the City of San Antonio, as one of more than 60 within BCAD—would analyze the appraisal and protest data of its appraisal district. The City Council is expected to approve the $79,780 study, which will be conducted by Oakland, Calif.-based Economic & Planning Systems, Inc., on Thursday. District 8 Councilman Manny Pelaez, who spearheaded the study, characterized it as a quality control check from “BCAD’s biggest customer.” He said he’s fielded complaints from property owners, both residential and commercial, about their valuations. He wants to compare BCAD with other appraisal districts in counties of similar size across Texas to see if there are any irregularities. One of Pelaez’s objectives: to see if BCAD’s practices are driving away business from San Antonio, and therefore might have a negative impact on this city’s economy. “There is no data anywhere that has ever been compiled that shows the impact that our valuations have on our economic development and the profitability of businesses and the cost of homeownership,” Pelaez said. For its part, BCAD says it simply follows the Texas tax code, which requires properties to be appraised at market value from Jan. 1. “There’s very little discretion in what I get to do,” Bexar County chief appraiser Michael Amezquita said. He added his decisions at BCAD extend to matters of personnel and budget. Amezquita said he doesn’t instruct his staff on how to value properties. Amezquita said many owners of high-valued commercial properties use what’s called an equity appeal, one of two options all property owners in Texas have in which to challenge their valuations, to significantly lower their tax burden. “It literally has turned into a cottage industry for tax agents and (for) commercial property (owners) to avoid paying their fair share,” he said of the tax code amendment, in which a property owner can protest their valuation by claiming their property was treated differently than similar properties, approved by the Texas Legislature in 1997. Supporters of the equity appeal say the amendment adds fairness to the tax system, a rebuttal made in this recent Texas Tribune article. As for the City of San Antonio’s review, Amezquita said he follows the direction of the appraisal district’s board of directors, which happens to be chaired by District 1 Councilman Roberto Treviño. In February, when the City Council was scheduled to approve the one-year contract, Pelaez told his colleagues he wanted to wait until the BCAD board met, to allow the agency time to join in funding the study. The agenda for Thursday’s City Council meeting shows the city proceeding with the study independently, but mentions the appraisal district is willing to cooperate. Amezquita said the Texas Comptroller’s office reviews all appraisal districts using what’s called a property value study (PVS), used to determine the wealth of each school district in Texas, and the methods and assistance program (MAP), which reviews a district’s administration, mapping, procedures and governance. He said BCAD has ended up passing every year. 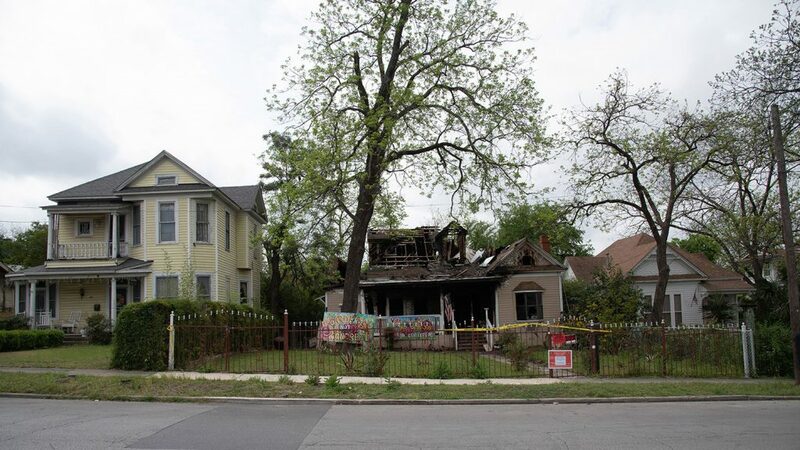 If the study does show what the city considers irregularities, it’s unclear what power San Antonio has in changing the way BCAD values properties. Pelaez said the timing of the vote was not politically motivated, considering the municipal election is May 4. The vote was originally scheduled for Feb. 21, but was postponed to allow more time to bring BCAD on board. This is absolutely timed for election season – and it is still unclear what this expensive study will accomplish. Pelaez is never to be trusted.